The most popular attraction in Barcelona - - indeed, the most visited attraction in Spain - - is the Basilica de la Sagrada Familia. This church is unlike any other. Although it has been called one of the great buildings of the world, itt does not so much resemble a building but rather a natural creation with walls that seem to flow and cascade down the sides. Statues, quotations and pieces of ceramics protrude from the walls like artifacts emerging from a mudslide. The overall effect is like a mystic hallucination. 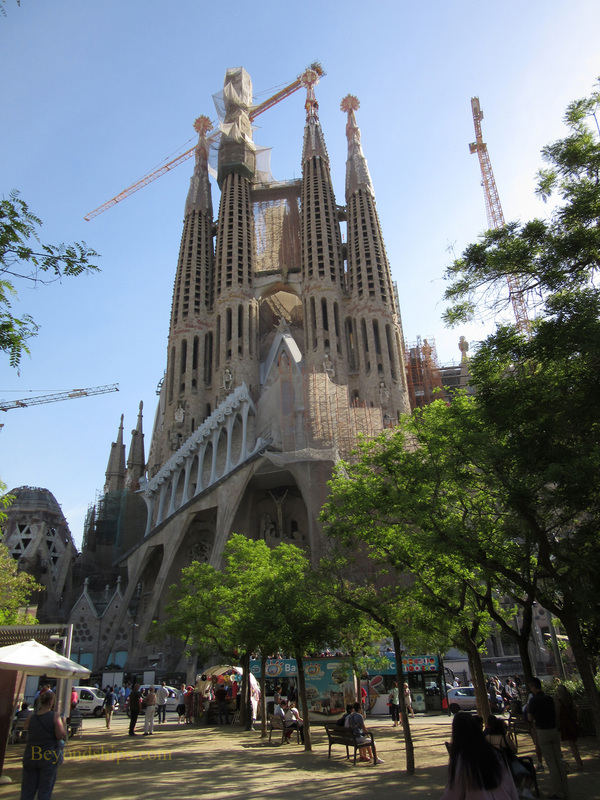 Because of its monumental size, La Sagrada Familia is often referred to as a cathedral. However, a cathedral is the seat of a bishop and Barcelona's cathedral, Le Seu, is in the city's Gothic Quarter. La Sagrada Familia was consecrated as a basilica in 2010 by Pope Benedict XVI. La Sagrada Familia is the masterpiece of Antoni Gaudi. Born in 1852 in Catalonia, Gaudi was interested from a young age by nature and the natural world. This influence remained with him throughout his life and is reflected in his work. There are few straight lines in Guadi's buildings. Instead, he favored curving forms reminiscent of nature. Gaudi was interested in a wide range of subjects and so in addition to studying architecture, he studied history, French, economics, and philosophy. He looked into making ceramics and how wrought iron is made. While he refused to run for elected office, he was very interested in the culture of Catalonia. In fact, he was beaten by the police and arrested for demonstrating in favor of Catalan autonomy. Gaudi never married. It is known that he was attracted to one woman but his feelings were not reciprocated. The other major influence in Gaudi's life was the church. He was a Catholic and a devotee of the Virgin Mary. 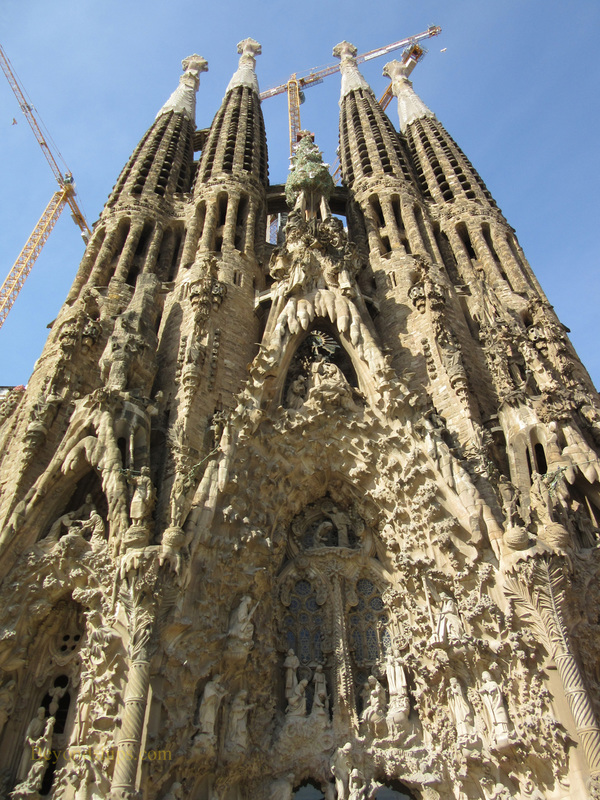 Thus, for Gaudi, designing a church was more than just designing a building. Although Gaudi's name is closely intertwined with La Segrada Familia, Guadi was not present at the beginning of the project. The idea of building a new church came from Josep Maria Bocabella, a wealthy Barcelona publisher, who wanted to create a bulwark against the spread of revolutionary ideas. He founded the Spiritual Association of Devotees of Saint Joseph, which launched a subscription campaign. With the proceeds, the Association bought a plot of land and hired an architect. The new church, begun in 1892, was to be a traditional neo-Gothic structure. Disagreements between the project's first architect and its sponsors led the architect to regsign. 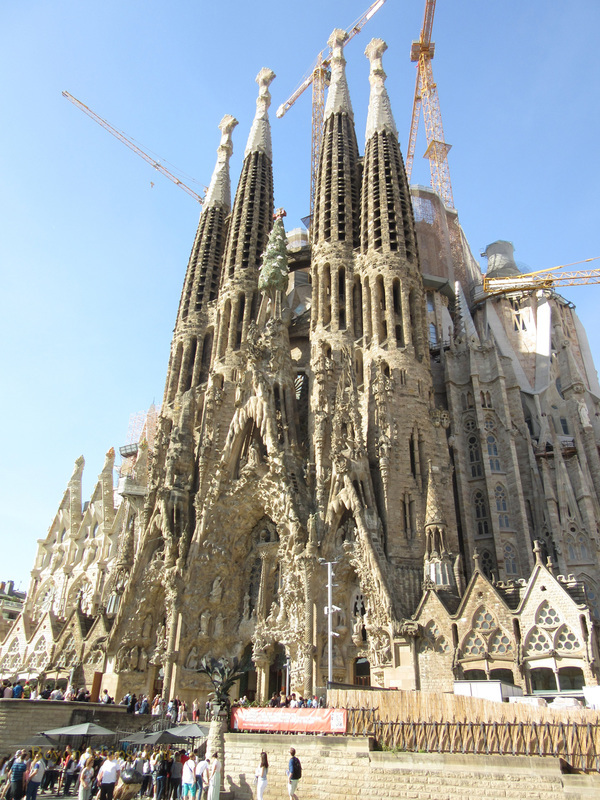 So, in 1893, Gaudi, a deeply devout rising young architect, was put in charge of the project. 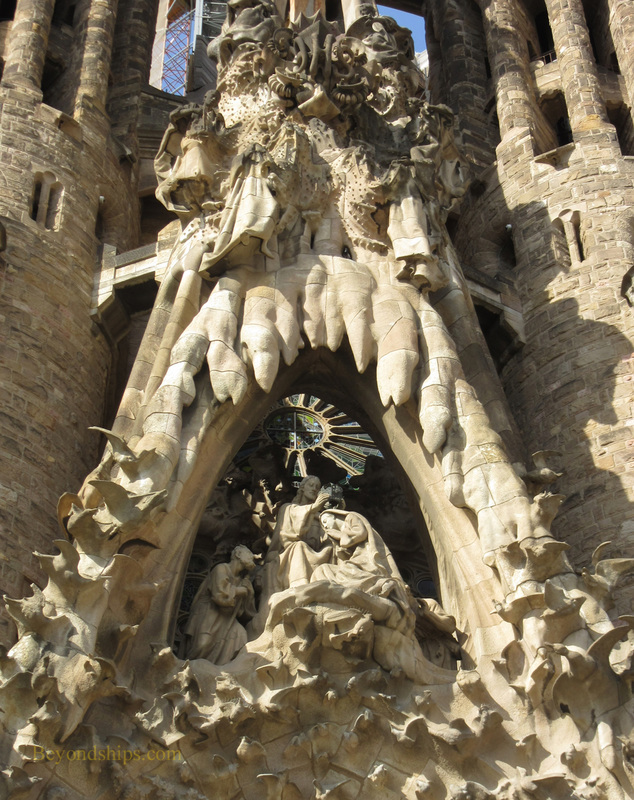 Although Gaudi had studied neo-Gothic architecture, he was more interested in the nature-inspired Moderisme style that was beginning to flourish in Barcelona. Consequently, when the Association received a large donation, he scrapped the original plans and developed his own design. The concept was to create a structure that would symbolically convey the teachings of the Gospels. Gaudi devoted himself to the project. Indeed, by 1916, all of Gaudi's family, his patrons, and his close friends had all died. Therefore, he refused all other commissions, eventually moving into his workshop at the construction site. His health deteriorated as he engaged in long fasts. His appearance became unsightly with his clothes held together by pins. All his efforts went toward La Sagrada Famila. The project was only about one quarter finished when Gaudi died. One morning, he was on his way to church when he was struck by a tram. From his appearance, it was assumed that he was homeless and was left to lie in the street. Several hours later, a policeman took Guadi to a hospital where he received inadequate care. By the time he was recognized, it was too late. Ironically, a large crowd came to the funeral of the man no one would help in his time of need. La Sagrada Familia still is not finished. In 1936, during the Spanish Civil War, anarchists broke into the workshop and destroyed most of the models and plans Gaudi had left behind. It took 16 years to piece them together. Lack of funding also delayed the project. As a result, work on a significant scale was not resumed until the 1950s. The 1992 Summer Olympics put a spotlight on Barcelona and the pace of construction accelerated. Computers and new building methods have also quickened the pace. It is hoped to complete the project by 2026, the 100th anniversary of Gaudi's death. Above: The the towers over the Nativity Facade. Below: A Nativity scene seemingly carved out of the building. 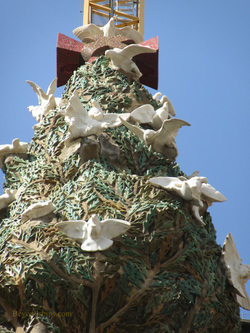 Above: Doves in a Cyprus tree. 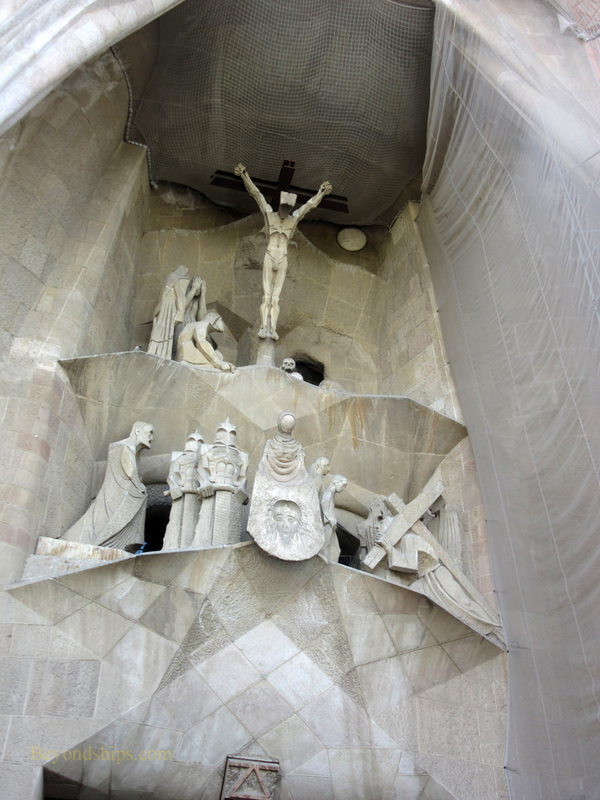 Below: Christ on the cross over the Passion Facade entrance.